Whyte have spec’d the Cambridge with a SRAM Apex 1 road groupset which has a 1 by 11 wide range 11-44T drivetrain, perfect for tackling even the hilliest of cities. 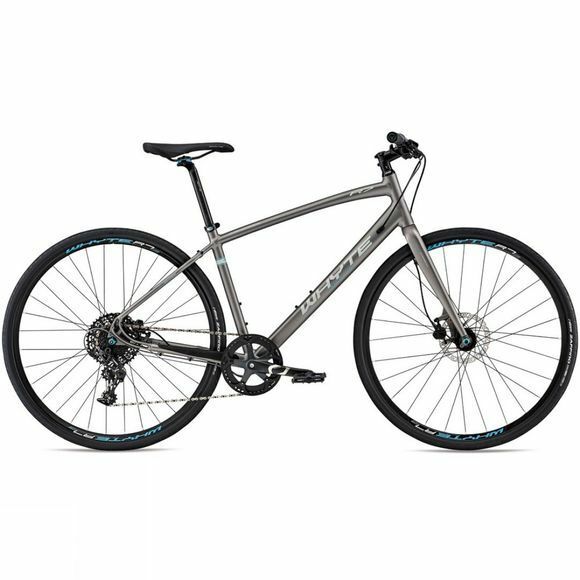 They have also graced the Cambridge with a fast geometry, based on their high performance mountain bike range. It has a long wheel base and relaxed head angle for high speed stability and a shorter stem for excellent slow speed manoeuvrability. 32c tyres sit on 20mm rims to help give this capable bike speed and comfort, perfect for even the toughest of commutes.